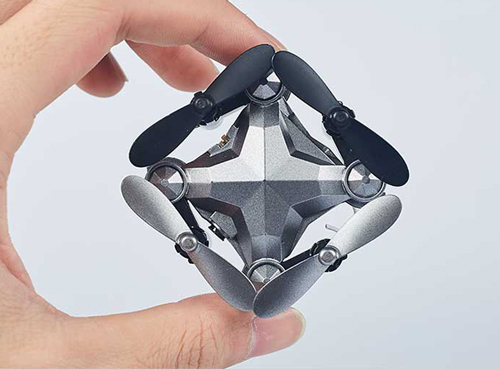 To be honest, it looks weird in the box, but out of the box this little drone shows off with nice build quality and a fun flying experience. 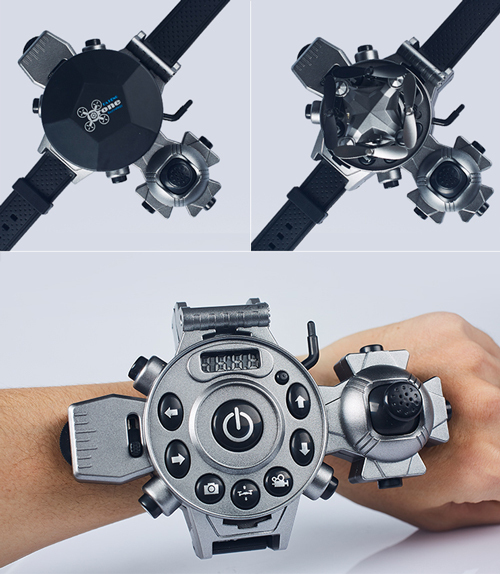 It’s a weird idea to put a drone inside a watch but it’s like a child’s dream to can summon a flying Quadcopter from your arm. The watch itself doesn’t look that cool. It’s pretty chunky and feels like plastic. It has a lot of buttons but fits well on your arm. Inside the big watch, we find a very tiny drone, or quadcopter. The full name for this drone is DH-800 6-axis Gyro Altitude Hold Wifi FPV 0.3MP Camera Headless Mode RC Quadcopter RTF 2.4Ghz. I’ll just call it the DH-800. Flying with the drone is not easy, but you get the hang of it after a couple of times. There are different modes to help you out while flying, perfect for new drone pilots! For the drone enthusiast, there are different speed modes, flip buttons and a headless mode to go all out! I have to say I was pretty impressed by this. In the video above you can see that I crashed the drone several times, but it survived each time. Yes, it lost a propeller, but by just clicking it back on, it’s fixed. There are spare blades in the box in case you destroy a propeller while flying kamikaze against a wall. I wasn’t expecting much from the camera quality and wasn’t disappointed. It’s just not good. I have no idea what the aspect ratio and frame rates are, but it’s like filming with a potato. To be honest, for the price I was not expecting HD quality. It’s good enough if you want to try out filming, or for children when playing with it, but don’t use it in a YouTube video. You’ll embarrass yourself. It also comes with a third party app. You get a live view from the camera and you can use the app to record your clips on your phone. That’s actually pretty neat and it makes the bad camera quality just a little bit more bearable! To conclude: this is just a good drone for the price. Off course it’s not a Phantom drone, but it’s pretty easy to operate and you have a camera. If this is your first drone, I would definitely recommend this for trying out the drone world! You can find the drone here.